When you think of Paris, there are a few things that come to mind. The Eiffel Tower, cafes and boulangeries surrounded by small tables, chairs and flowers decorating the streets as the cool wind kisses your cheeks so subtly yet so lustfully. Take a seat and watch the world go by as the breeze chills your soul and the summer sun warms your heart. Stand in awe at the history and the architecture of the 13th century. Bliss. Parfait! Many come to Paris and overlook the fact that Paris has evolved thru the ages. 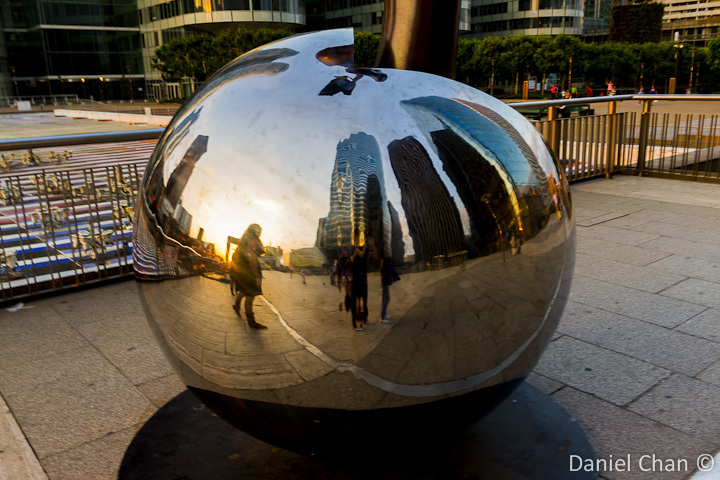 Modernization and globalization has an effect on cities where culture and history sometimes, are overwritten for the sake of progress. Paris strives to protect the history as it moves towards the future. 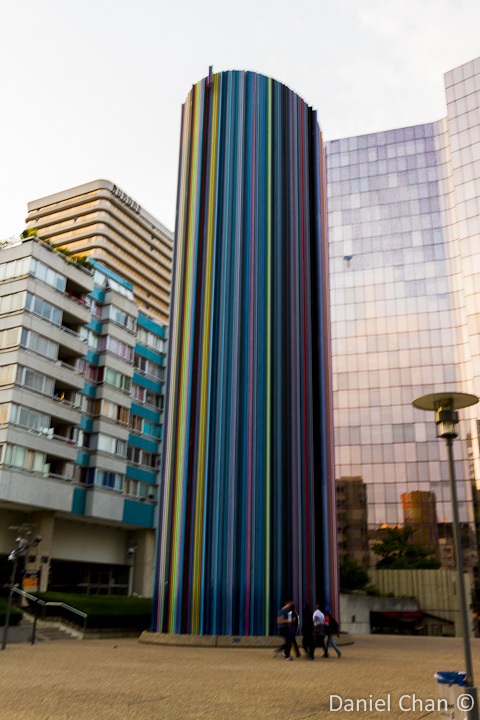 If you travel west , about 15 minutes out of the hustle and bustle of Paris, you will find a modern city on its own. 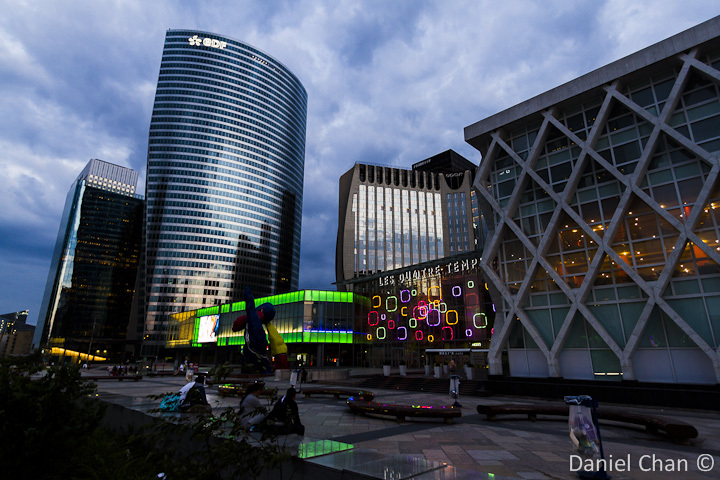 Commercial towers , shopping malls, modern architecture, La Defense. 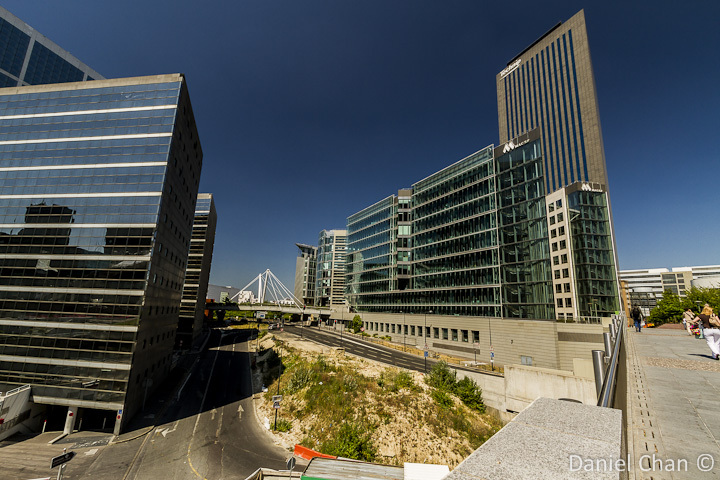 This business district is the end of a long 10km Axe Historique,also known as the Voie Triomphale, which extends from the center of Paris to the west, from The Lourve, thru Arc de Triomphe , across The Seine and meeting at The Grand Arche of La Defense. Exiting the metro, you will be greeted by this view. 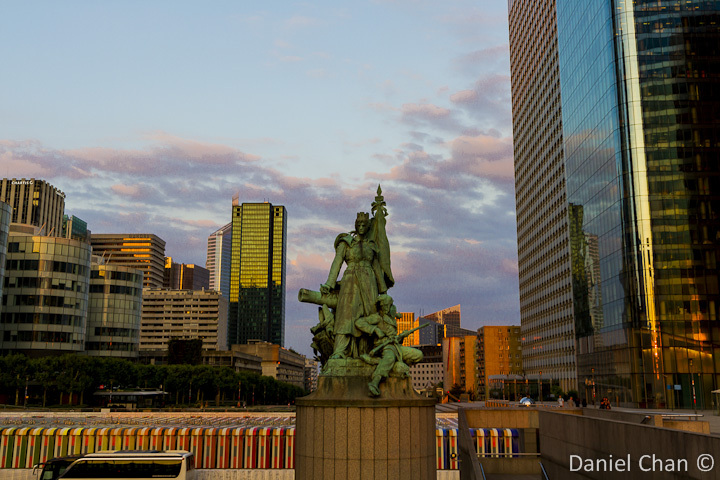 La Defense is named in honor of the soldiers who defended Paris during the Franco-Prussian War. 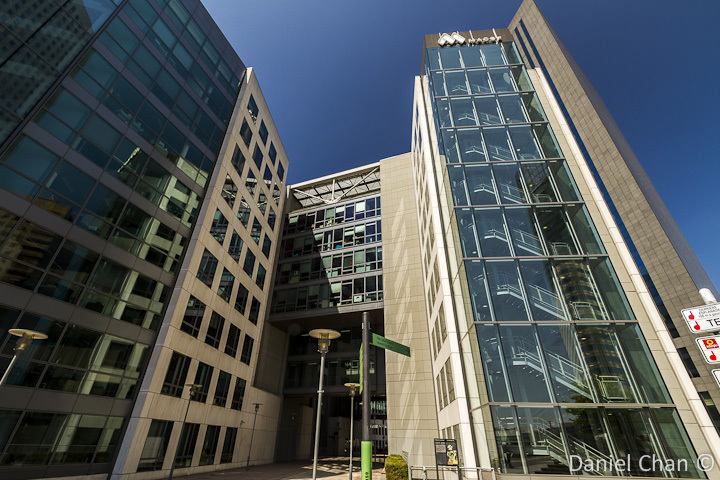 Building began in 1958 to overwrite the shanty town areas, factories and farms. 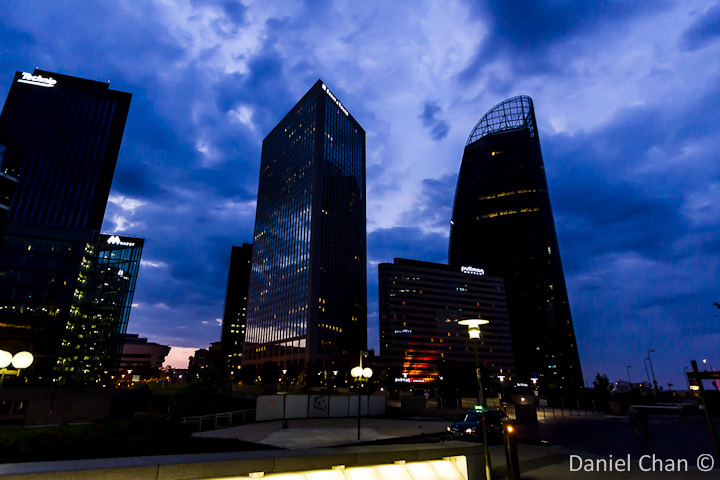 La Defense expanded thru the years and is currently the largest purpose-built business district in Europe. There will be things that are out of place here. 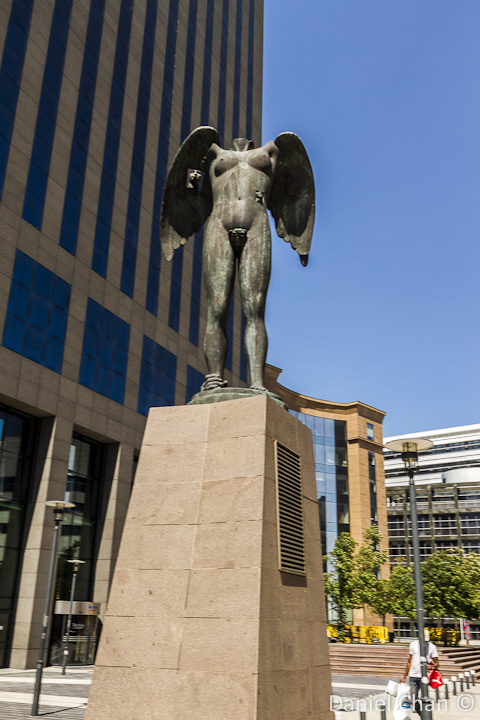 I find the French artistic and the effort to blend in statues and abstract art into daily life, much welcomed. This has faded a little due to time. Completely out of place, yet, blending in beautifully. 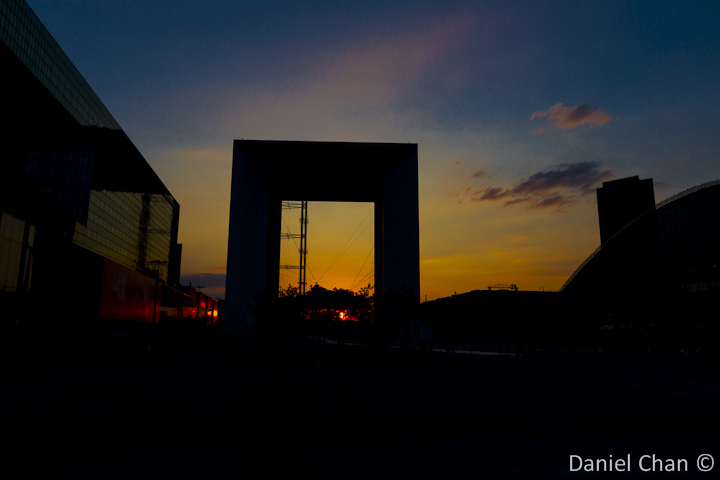 La Defense is beautiful in it’s own way. 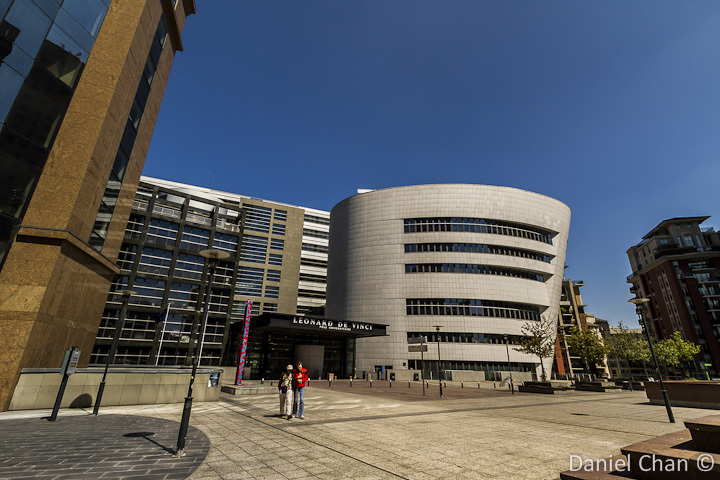 You will still see arts being part of the design of each building. The area is not as busy as the honking and shuffling of Paris and it is near ghostly on the weekends as most of the commercial offices are closed. It is a very cozy location to stay on your visit to Paris. 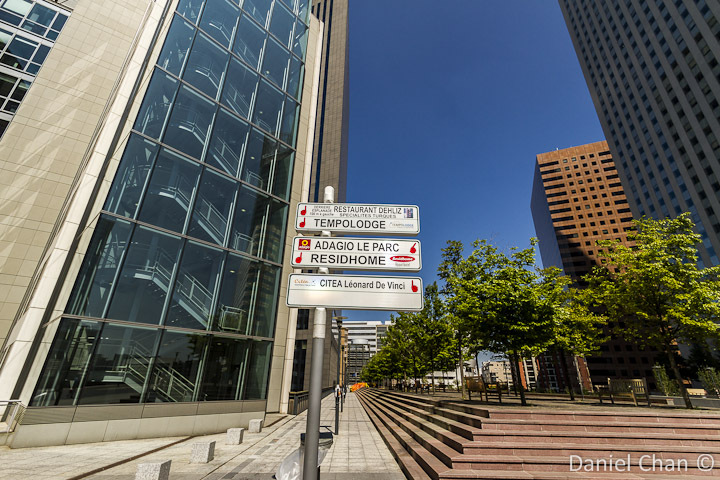 It may be a bit far but prices are slightly lower, if you do not mind the 10-15 minute walk from the Metro and RER line. 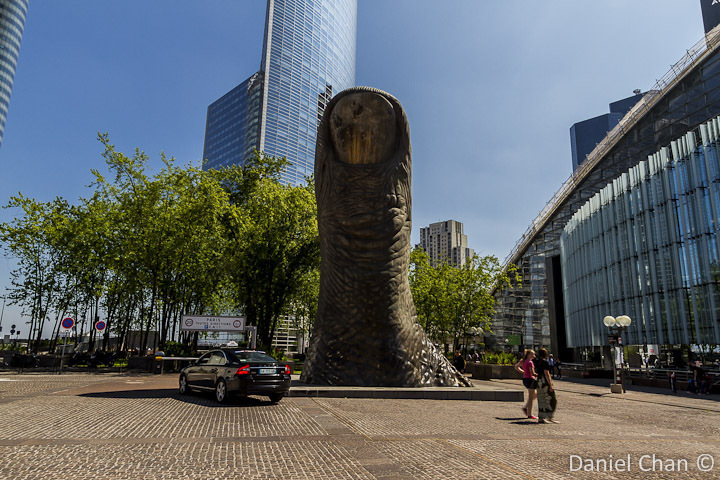 View from Esplanade de la Defense. This is from the other end. 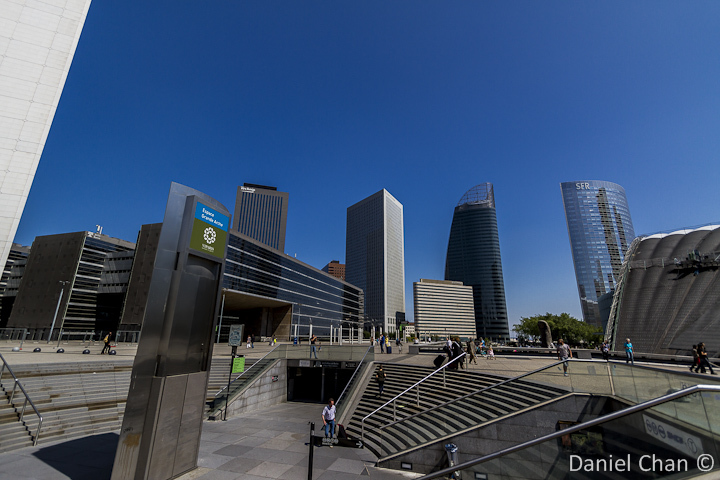 One metro station before La Defense. 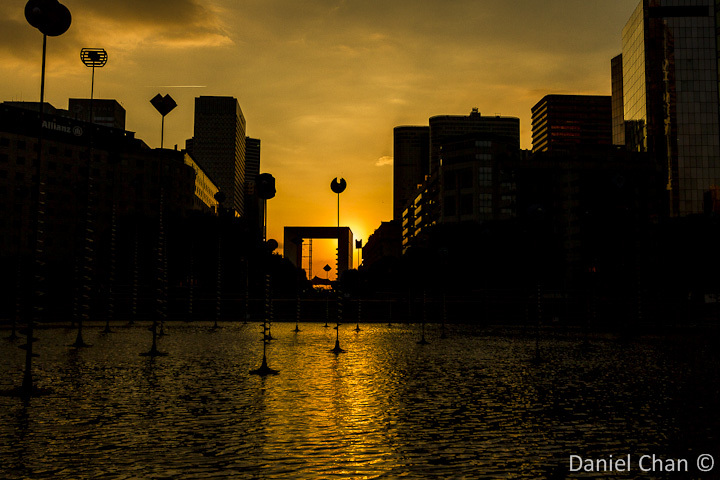 Due to the design and location of La Defense, you are aligned to view the sun rise and sun set. Views face east or west and it is a perfect place to end the day. The hotel being about 10 minutes walk from here is also strategic. The sun caught just before it sinks beyond the horizon. During the summer, the sun sets around 945 pm. This gives you a very long day with 16 hours on sun daily. Most people are already at home relaxing and some buying a late dinner. Most shops will be closing and you will need to hurry to get your dinner. Can you cover it in a few hours? Yes. If you travel quickly, you should be able to cover it in a short 1 hour walk. 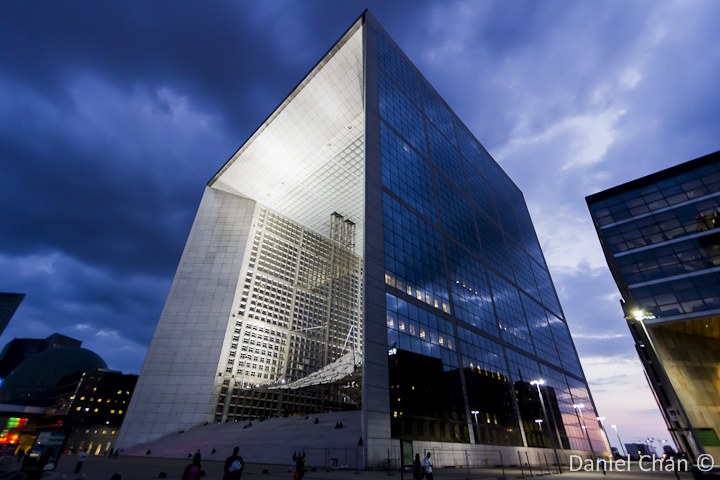 La Defense station is the last station for Zone 2 and brings you to the Grand Arche. 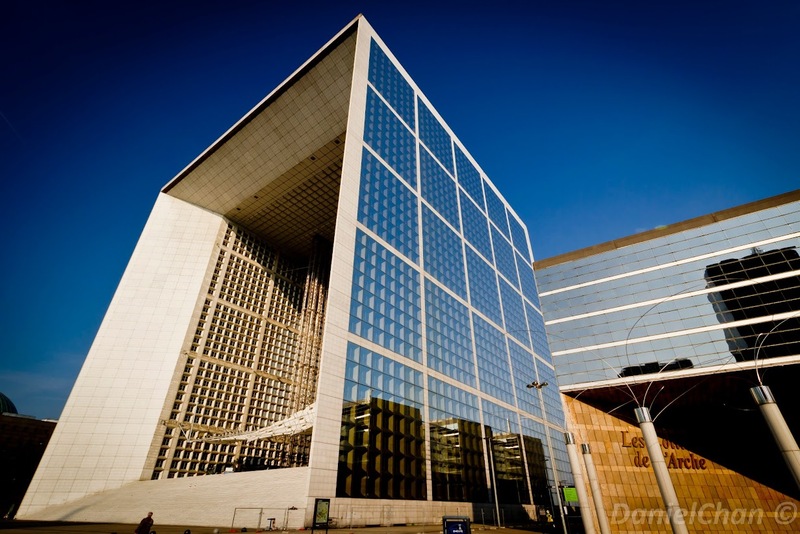 If you are taking the RER line, going beyond La Defense will require Zone 3 tickets or a hefty fine if you do not carry one. 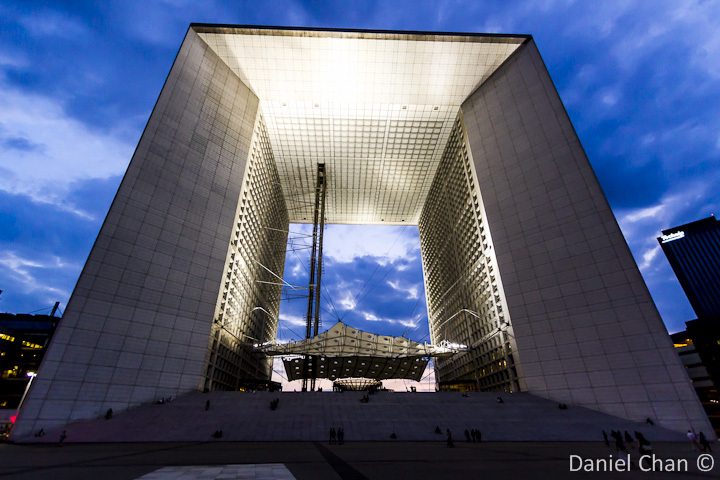 If you get down at Esplanade de La Defense, you will get to walk the entire stretch of La Defense all the way to the Grand Arche. 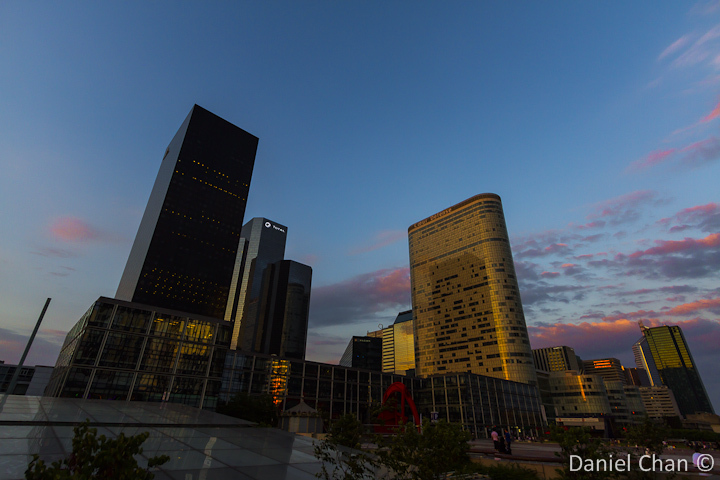 La Defense is beautiful both in the day and in the night. As a photographer, you may need to choose your priorities, if you have the time, the energy and the luck.